We are exceptionally proud to announce that SOGGDA, the Southwestern Ohio Garage & Gasoline Dealers Association Inc has chosen CMR, Inc. & it's JASPER Website program to be their EXCLUSIVE Website Vendor Partner. This association has proudly served their members since 1948 and having another heritage program recommend us to their member garages is an honor and a commitment to excellence that we do not take lightly. Their members can expect the same innovative ideas and discounts that our JASPER shops have come to expect. They will soon find out that picking up a phone and talking to our team is EASY, changes are EASY, and websites are supposed to be functional and EFFECTIVE. We will be hosting a seminar at their annual October meeting and invite their members to attend titled: WHAT GOOGLE "really" WANTS. We will be completely redesigning the website for their program itself and adding a Membership Directory for easier function and design. Their news program will be unique to their needs and we look forward as a team here to working with them in growing their platform! Thank you for choosing our team here in Madisonville Kentucky to work with your large group of garages across Ohio. Our First Radio Podcast with Remarkable Results Radio! I had the great pleasure of talking with one of the greats in the Automotive Aftermarket, Carm Capriotto, who hosts an amazing Podcast program as his guest speaker. 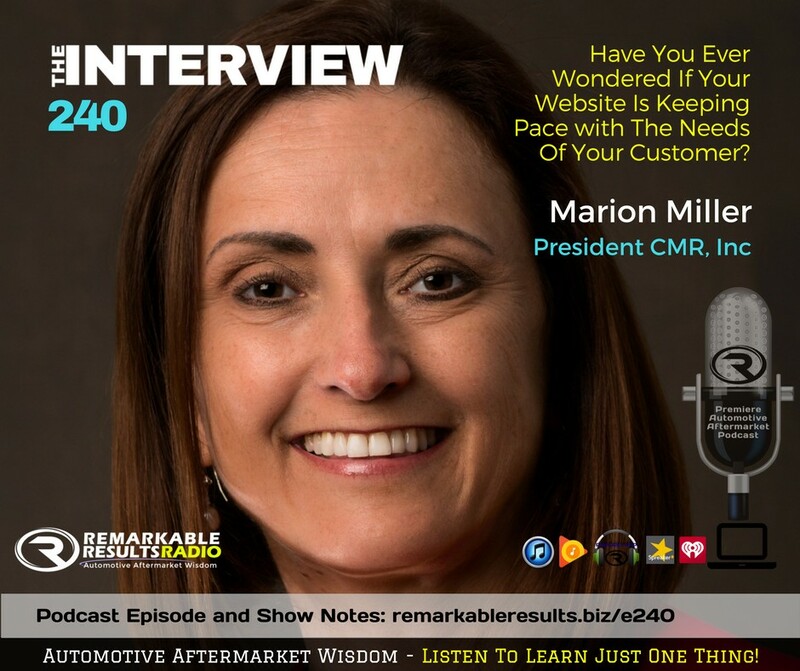 Our conversation went all over the map from the best bourbon in Kentucky to the heart of the matter which was the struggles facing automotive shops in marketing their business online. For us here at the office, it seems easy as we deal with it daily so breaking it into talking points was not difficult but for the consumer it is as complex as my trying to rebuild an engine which is NOT even possible! However, talking points included what Google Expects for 2020! | Your Front Page Should Have | 3 Ingredients in an Award-winning Shop | Why Content is KING. Hopkins County Governent Website Upgrade! New Website Upgrade! Fully Responsive with our great community features as a destination community highlighted while remaining easy to navigate and including new information on Community Projects like the ATV Park shown on the home page. The new website incorporates the earlier site with upgrades allowing the site to be fully responsive and the Submit an Issue program easier to utilize for our citizens. It is fun and a little we hope you like it as much as the team that worked with us did. The website was last designed and launched by our team 5 years ago and due for some time in the shop so we worked quite a bit on the logistics portion and the style to ensure all the links worked and information was updated.